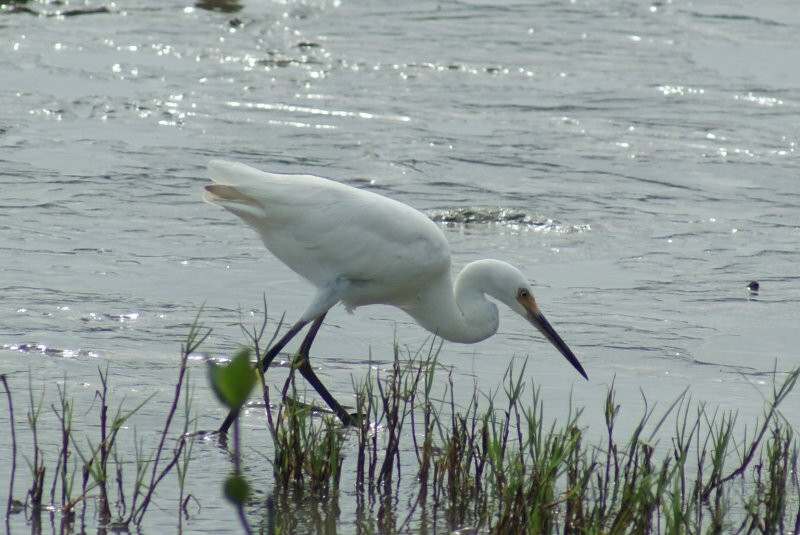 Little Egrets are one of the smallest egrets (55-65 cm) found in Australia, similar in size to the Eastern Reef Egret. 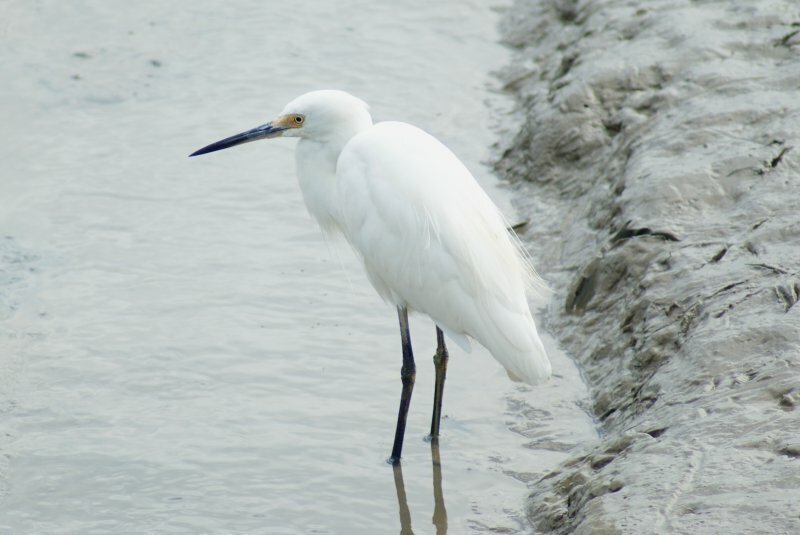 They are easily differentiated by the Little Egret's mostly-black bill and black legs with yellow soles to the feet. The bill is also longer and finer. They are more active hunters than many other herons, stalking prey and even running after it. The subspecies found in Australia is E. g. nigrepes, although Australian and New Zealand birds are sometimes split as E. g. immaculata. 1-2: Cairns Esplanade, Qld, 17/10/2010.